Have you ever had a magic cookie bar? They’re shaggy little squares of graham cracker, coconut, chocolate, butterscotch chips, and condensed milk. This is an amalgam of pantry goods that, when combined, make for much more than the sum of their parts. And while I do love a good old magic cookie bar, for me, the original version leans a little too sweet. So, I made a version with pretzels and peanut butter to bring some salty balance to the party (salt + sugar is my baking language). The results are these cookie bars layered with a sandy pretzel base, chewy coconut, peanut butter chips, and chocolate chips, bound together with sweetened condensed milk fortified by peanut butter. They are at once, sticky, chewy, crunchy, sweet, salty, and totally craveable. To make sure the center of these bars set enough to slice, be sure to bake them until the edges caramelize and turn golden. Then cool them completely to room temperature for a few hours before cutting. When you are ready to remove the bars from the pan and cut them, run a knife around the edges and gently turn out the bars. They should be firm enough to handle but the crust can crumble a bit. Cut into squares with a serrated knife. You can also make these bars a day ahead. Just cover the pan of cooled bars in foil and leave them on the counter. The sliced bars can be stored at room temperature for up to 5 days. Store them with parchment between the layers or individually wrapped in plastic wrap (easy for grab-and-go treats!). The bars can also be frozen for up to a month, either individually wrapped in plastic, or with parchment between the layers. Place the bars inside a freezer bag with as much air pressed out as possible. To thaw, remove the bars from the bag and let them thaw at room temperature. MORE BAR COOKIES TO ENJOY! These bars are quite rich and decadent. Cut into 25 squares if serving at a potluck or large gathering, or into 16 squares if you're in the mood for a bigger treat. 1 Prep for baking: Preheat the oven to 350°F. Spray or grease an 8x8-inch square baking pan and line the bottom and two sides with parchment paper. 2 Make the crust: Add the pretzels to the bowl of a food processor and pulse until most of the pretzels are fine crumbs with a few larger bits (no larger than the size of a pea). You can also crush the pretzels in a bag with a rolling pin. Pulse in the butter and sugar (or stir together in a bowl). It should hold together when pressed together with your palm but it’s sandier than a graham cracker crust. Press the pretzel mixture into the bottom of the prepared pan. Use the bottom of a measuring cup or glass to really compact the mixture. 3 Bake the crust for 15 minutes. Remove and place on a rack to cool slightly. 4 Warm the peanut butter: Measure out 4 tablespoons of the condensed milk into a bowl and set to the side to use later. In a 2-cup measuring glass, combine the peanut butter and remaining condensed milk and microwave for 30 seconds. Stir the mixture until smooth. 5 Assemble the layers: Spread half of the coconut onto the pretzel crust, followed by half of the peanut butter chips and chocolate chips. Pour the peanut butter and condensed milk mixture over the top and repeat the layers of coconut and chips. Arrange a few whole pretzels on top and drizzle with the reserved condensed milk. 6 Bake the bars: Bake on the center rack of the oven for 35 to 40 minutes or until the edges are just golden around the edges. 7 Cool and store: Remove from the oven and cool completely on a rack before cutting. Lift the block of bars from the pan using the parchment paper, and then use a serrated knife to slice into 16 large bars or 25 bite-sized bars. Magic bars will keep at room temperature for up to 5 days. Hello! All photos and content are copyright protected. Please do not use our photos without prior written permission. If you wish to republish this recipe, please rewrite the recipe in your own unique words and link back to Peanut Butter Pretzel Magic Bars on Simply Recipes. Thank you! Hello! I see some people had trouble with the crust falling apart. In a “traditional” magic bar you pour the condensed milk over the graham crackers before baking (which I think would *possibly* help hold it together more)? Why do you cook the pretzel crust beforehand instead of baking it all at the same time? This is the fifth attempt at this recipe. I love all the flavor combos, esp. the salty! But I have made magic bars since I was a sorority girl 30+ years ago, and these do not hold up. The base? Even after adding twice the butter and grinding those pretzels into a close copy of Graham crackers? Nope. No matter what I do with the cooking time I lose the outer borders to burn. I will continue to experiment, but as written, this does not work. I have several pics of the fails, but not sure how to post them here. I’ve been coming to Simply Recipes for years! This is truly the only recipe that has failed me. Hi Alison! The crust can be a bit crumbly, I am so sorry it didnt work for you. I would try to grind the pretzels a little finer (I find the dusty bits really help keep the crust intact) and maybe add a tablespoon or two more butter. This was my first foray into magic bars and they were absolutely delicious l! Very balanced flavors and super easy to make. We all loved them and will definitely make again soon. Thank you! This recipe looks wonderful! 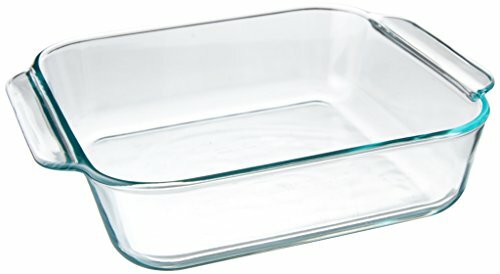 How would I go about making the recipe for a 9 x 13 pan? Measurements, etc. Thanks for your help. Hi Jeff! I have not made a version in a 9×13 but I would just do 1 1/2 times the recipe (I think doubling would make the bars too thick). just double it. it works. but you definitely need more butter in the crust. How would this work without the coconut? I think they would be very sweet. I would be tempted to add another dry element in place of the coconut that didn’t add much additional sweetness. Maybe additional pretzels? I have even made an ultra-indulgent version that uses crushed potato chips that was a hit! Magic Cookie Bars (Hello Dollies) are my husband’s favorite. I am loving this version, and I can’t wait to surprise him with it.